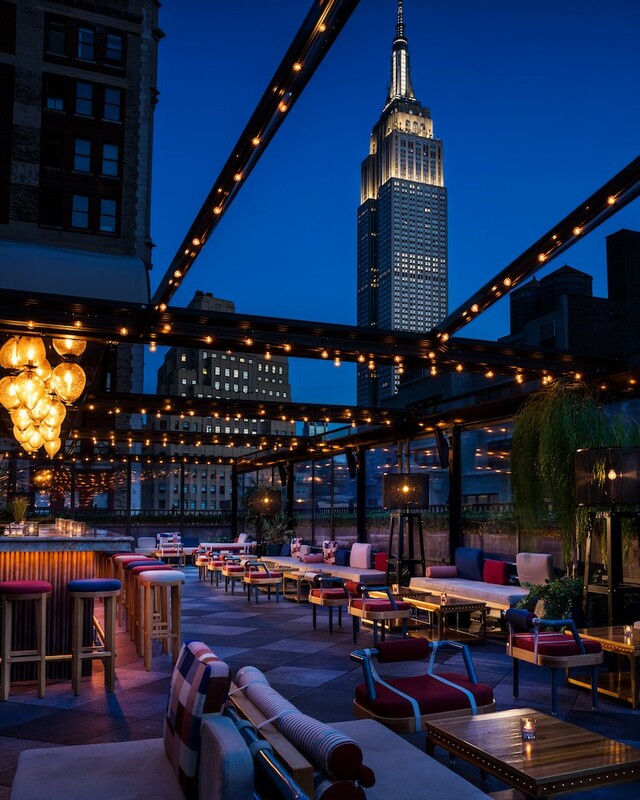 Love the idea of living it up in the Big Apple without breaking the bank? We hear you and raise you Moxy Times Square. 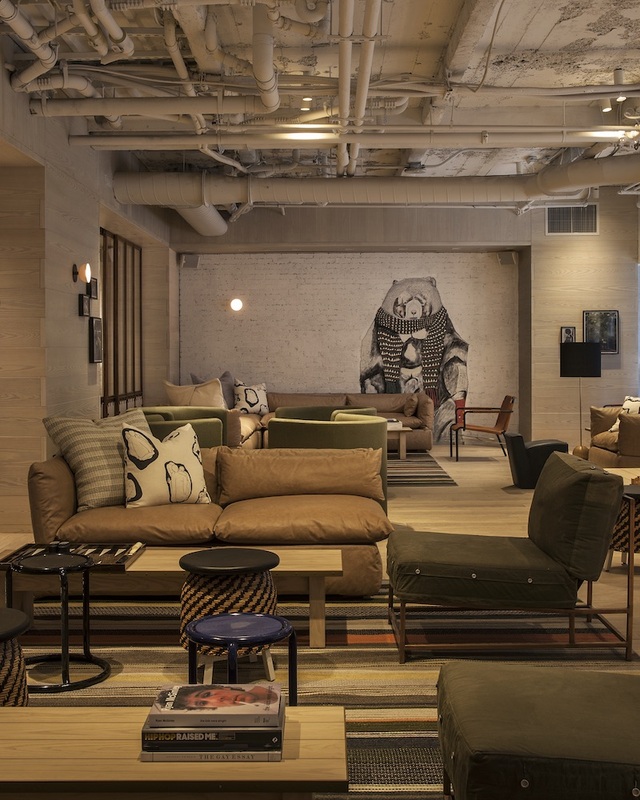 Located in a 110-year-old building on 36th Street and 7th Avenue (smack bang where uptown and downtown collide), Moxy Times Square opened its doors in September 2017 and has become a game changer in an unforgettably expensive city. Billing itself as a boutique-hotel concept for the modern traveller, this fun and personality-filled hotel has everything you want and nothing you don’t. 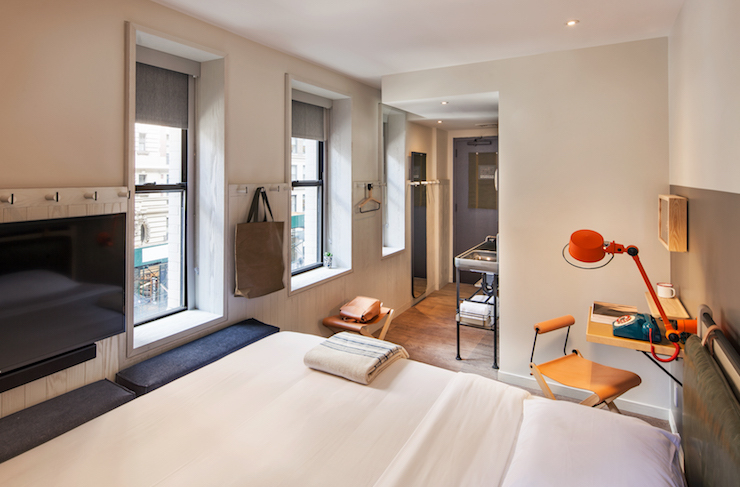 The thinking behind The Moxy concept is simple: provide compact, stylish accommodation in the heart of Manhattan at a fraction of the cost of other hotels in the area. Comprising 612 cleverly designed bedrooms and buzzy communal spaces at a very sweet price point (rooms start at $139, a bargain by NYC standards), it succeeds, all without compromising on looks. When I arrived off the back of one of the most brutal flights (Perth to New York City with a hefty layover in Dubai), I walked into my cute and thoughtfully laid-out room and threw out a mini fist pump, knowing I was in for a stylish and fun few days. The rooms are definitely small but perfectly formed—thanks to clever configurations that include some very cool folding furniture. The devil is in the detail and Moxy Times Square has it in spades: I’m talking free WIFI, mini steamer (a godsend after rescuing my crinkled clothes from my suitcase) Aussie brand muk. 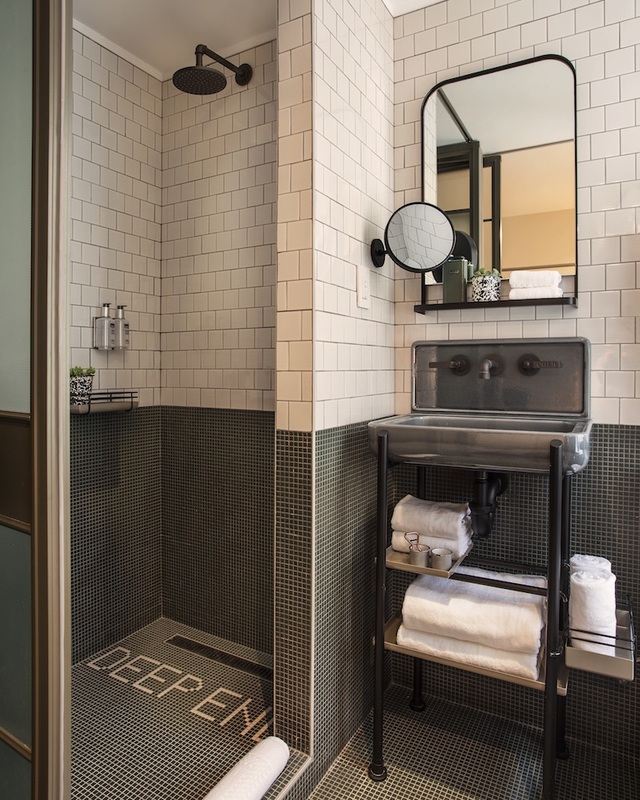 toiletries, charging stations next to each bed, 300-thread count Egyptian cotton sheets, a 43-inch HD television and oversized rain showers. Tick, tick, tick. 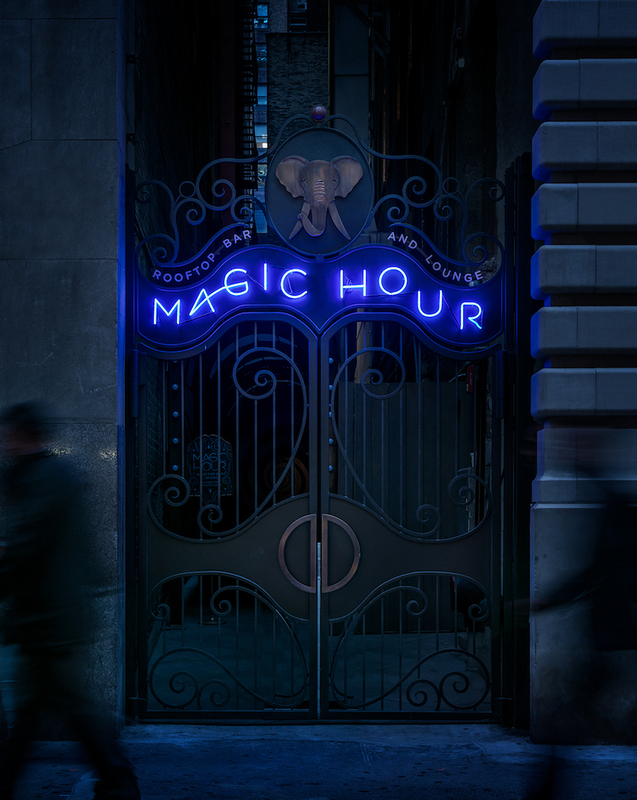 Get out of your room and you’ll be treated to some very cool communal areas and five restaurants and bars, including NYC’s largest hotel rooftop lounge, Magic Hour Rooftop Bar & Lounge (the skyline views are unbelievable), Legasea Seafood Brasserie, Bar Moxy and The Pickup. You could probably just hang out at the hotel and have an excellent time but explore the neighbourhood and you’ll find that midtown is not only home to the majority of NYC’s skyscrapers (including the Empire State Building and Chrysler Building), but there’s also a never-ending parade of great eats from Korean BBQ and bangin’ burger joints, to old-school steakhouses and the city’s best ramen. A word of warning to the light sleepers: each Moxy room comes with a pair of earplugs that you will definitely need but it’s a small price to pay for resting your head in the world’s greatest city, knowing you haven’t forked out your life’s savings. And anyway, it’s the city that never sleeps after all. While you're there, check out all these NYC neighbourhoods we're loving.